We can stop thinking about our wonderful stay at Makani Sands. Nothing removes the stress of life better than a visit here. What a joy. A perfect location to recalibrate, rest and restore. Simply Wonderful. This condo truly exceeded all of our expectations. It was exactly as described and looks even better in person than in the photos. The pictures give you an idea, but walking in and feeling the breeze through the condo and hearing the waves crash upon the shore was a truly remarkable first impression. I experienced no issues while I was here and the condo was well equipped for all of my needs. Going through the overview book of the condo can make the rules seem overwhelming, but they are not unreasonable. They clearly explain the conduct expected from their guests, which I think helps create a peaceful and well run complex. 10/10, would stay again. My husband and I traveled back to Makani Sands for my 70th birthday, Our first visit was back in 1981 with 2 other couples. The facilities looked much the same and looked like the grounds had been kept really nice. I especially want to thank the owners of 209 as their unit was very nice, looked like they had recently remodeled, The two ladies in the office were very friendly and helpful. We've been coming to Maui for many years. Makani Sands is always our first choice for where to stay.. I stayed in Makani Sands unit 209 with my husband and 9 year old daughter. The condo was very clean and was updated. We didn't use the pool much because we had more fun in the ocean, which was just steps away. My daughter swam right next to the sea turtles as they swam by. We would love to return to Makani Sands in the future! ruhige Lage,top Ausstattung, mpdern und geschmackvoll eingerichtet, modernes kleines Bad, Appartment lässt keine Wünsche offen - alles bis zum Sonnenschirm vorhanden,gute Strände in kurzer Fahrzeit zu erreichen, genügend Möglichkeiten zur Selbstversorgung,guter Ausgangspunkt um die Insel zu erkunden, Sonnenuntergangszeremonie durch Gäste hat uns gefallen, Frühstück mit Blick aufs Meer war Urlaub pur! We've stayed at Makani Sands many times. Loved this unit!!! First time in Unit 209. We usually prefer to be on the ground floor, but 209 didn't disappoint. Excellent decor - the owners have done a perfect job outfitting the condo. Makani Sands is a perfect location and you really can't beat being right on the ocean. Thank you for making this lovely place available for rental! Excellent from the first phone call. We rented three units a week at Christmas. Perfect venue for our families to connect yet have their space. Maria is especially helpful. Great as always, wish there was a Jacuzzi instead of a pool, no use for a pool when the ocean is right there but a Hot Jacuzzi would be great in the evenings. Very clean and simple. Updated. Went with a big group of people and everyone was jealous of my condo. Would love to stay here again! Snorkeling is feasible right in front 20 feet from shore with many colorful fish. Condo is no more than ~40 feet from Ocean with no obstructions. Our visit was Sept 28 to Oct 2. The property manager was very friendly, confirmed our reservation, and answered all our questions. The rental unit was welcoming - we felt right at home immediately. Every amenity we needed was available. 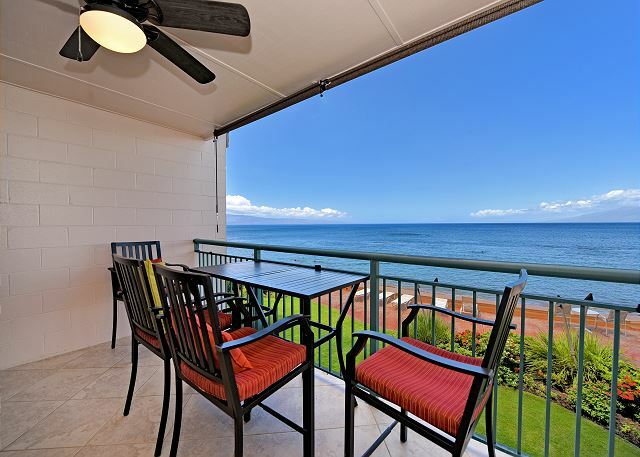 The property is conveniently located a very short drive from Kapalua airport, and is walking distance to local shopping, restaurants, and a supermarket. Thoroughly enjoyed the beach, watching the sea turtles, patio area, and swimming pool. Would definitely recommend! This was our 2nd stay at Makani Sands, we were there 17 years ago with our daughter and family. We loved it so much we wanted to stay in the same location. we traveled with our daughter and family again but they stayed at another Hotel. They were at our place practically all the time. we had the best views,beach access, turtle sightings, location and lots of options. We had everything we needed in the well equipped unit. we could BBQ or cook in or just hang out and play games . we will always stay at Makani Sands when we come there. The staff there was amazing and so helpful. Any information we needed they could supply. We highly recommend anyone to spend their vacation there. Oh, forgot to mention AFFORDABLE for most. Spent several trips here. Never disappointed. We loved our stay at Makani Sands. The ocean is so close that you could hear the waves. There is no air conditioning, but there are plenty of fans plus a regular ocean breeze which kept the unit comfortable. Sea turtles come out and nap on the beach at night. This was an awesome treat to see. The unit was well stocked with unexpected items like snorkel equipment and a beach bag as well as plenty of kitchen equipment, spices, and even olive oil. We were quite happy here. Our party reserved 7 condos at Makani sands and every unit had ocean views, amazing sunsets, surreal scenery, numerous tortoise sightings, a few whale breaches and plenty of wave and ocean sounds! Amazing to share a property with so many loved ones! The perfect retreat! Our stay at Makani Sands was wonderful. What a special place! Swimming and snorkeling in the ocean right out in front of our rental was an amazing opportunity. Seeing glorious sunsets in the evening and beautiful rainbows in the early morning was exceptional! The location was perfect, close to many other Maui spots to explore. 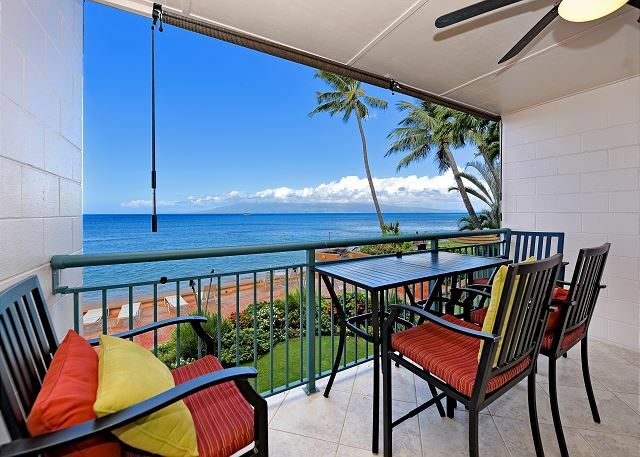 The entire vacation rental experience fully met our expectations, as the property in general, the unit in particular and the Honokowai setting were all as advertised on VRBO. The view from the lanai is breathtaking. The unit was updated and very comfortable. We left the sliding doors open at night to listen to the waves. The complex is small, so you get to know other vacationers. The staff is super friendly. We had a few visits from large sea turtles, who like to nap on the beach. My favorite place in Maui. Our stay at the Makani Sands and in unit #209 was wonderful. The upclose and personal view was magical. The first impression upon opening the door and walking in was, "OMG, Oh My Gosh"! The location was terrific for walking to grocery, coffee and shopping. The office staff and Bert, in maintenance, were very, very helpful and accomodating. NO bad things to say! The unit was super clean and updated very nicely. This was our 9th time at the Makani Sands and as usual we had a fantastic experience. Bert and Roseanna could not have been more helpful. We definitely will return. We had a great stay in unit 209 as Makani Sands. The view was incredible and unit was very clean & well equipped. The only negative feedback I would have is regarding the pool. It's a small, unheated pool on the back of the property that's mediocre. Instead of using the pool we just visited the many beaches of Maui instead. I would definitely recommend this unit as well as stay in it again. Exactly as decribed and better. Had a wonderful stay at Makani Sands; property is well maintained, unit was clean and tidy, staff is very helpful and friendly. Location is great as well; right on the water, away from the big resorts, but still close to shopping and restaurants. Excellent accommodations for the price! We enjoyed Makani Sands very much. The management was very professional and helpful. 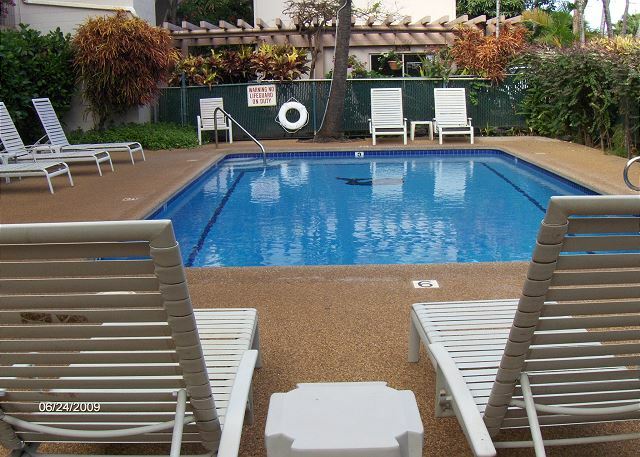 we thought the location was very good to enjoy privacy and close enough to attractions. The location so close to the water was wonderful and our unit was updated and comfortable. I can see the lure of a ground floor unit for access to the waterfront and shade, but the privacy and view from our lanai above was great. Friendly and low-key neighbors. A perfect spot for those who love the sound of the ocean.Only negative is the stairs outside your bedroom window, but very little noise, mainly in the morning.Didn't spoil our sleep.